Fantasia is an animated Disney film, released back in 1940. It had a lot of controversy when it came out, as there was no lineal plot of cartoon animation unlike the rest of the Disney productions had. Instead, Fantasia plays a series of classic music pieces with some short cartoon animations. These animations have few to do one with each other, but they still match perfectly with the music. 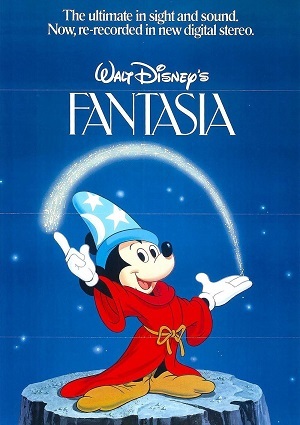 Ideal for very young kids, Fantasia is a non-dialogue classic that should be watched.